Yet another Brazilian with a transfer away, it’s becoming the quite the occurrence now. Richarlison will have company at Goodison Park. Bernard is Everton bound. The 25 year old has been on the radar of clubs for multiple seasons now after his successful time for Shakhtar Donetsk. 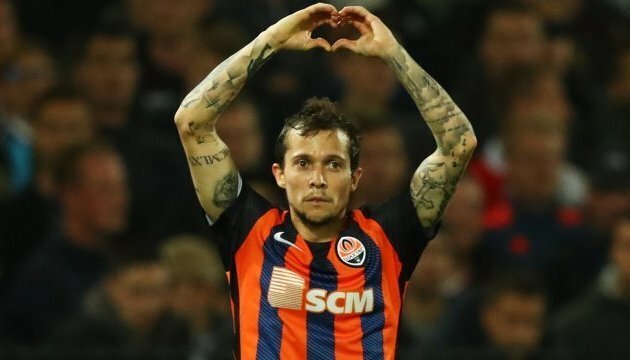 Bernard has now left Shakhtar after 5 years by running down his contract and is expected to be having a medical at Everton within the next 24 hours. Marco Silva is looking to add the midfielder to bolster his attacking options and his signature will certainly be anticipated by Evertonians for the coming days. Bernard Anício Caldeira Duarte began his youth career with the lesser known Comercial EC do Barreiro. His technical ability and pace was never a doubt for Brazilian clubs, yet his lack of height at 5ft 5 inches deterred Atlético Mineiro who released him on two occasions because of it. Yet the Brazilian was finally accepted and began playing for the side’s youth team (Democrata FC) in Campeonato Mineiro Third Level. A prolific 14 goals in 16 games for Democrata persuaded Mineiro to integrate the 19 year old into the first team. He made his debut in the Brazilian top flight in May and ended the season with 23 appearances, laying on 1 assist. After establishing himself in the first team, Bernard remained with Mineiro despite interest from Qatar, playing a far more significant role in 2012/13. After scoring his first professional goal in January 2012 against Boa Esporte, the 20 year old speedster did not look back. A brace against Palmeiras alongside 1 goal and 2 assists against Sport were perhaps his finest performances in his breakout season. Bernard ended the season with 36 appearances, scoring an impressive 11 goals whilst also laying on 12 assists, excellent figures for the young talent. His contributions were vital in Atlético Mineiro’s second place finish and the midfielder’s performances were receiving widespread interest. His brilliant previous campaign prompted Brazil manager Scolari to selected him for the 2014 World Cup. Yet he failed to score or assist in the tournament and returned to a transfer offer. Porto, Spartak Moscow as well as a whole host of clubs were interested in the signature of Bernard. Mineiro rejected a £9.8 million bid from Spartak, however Ukrainian giants Shakhtar ended up acquiring his services for £22 million, a more appealing offer for the Brazilian club. After settling into his new club in 2013/14, Bernard had an average 2014/15 with 2 goals and 3 assists in 23 appearances. 2015/16 was an improvement with 6 goals and 5 assists, yet Bernard was not doing enough to appeal to a big team or someone from Europe’s Top 5 Leagues. 2016/17 yet again had a similar output with 7 goals and 3 assists, however, 2017/18 was a significant improvement. 10 goals and 3 assists in all competitions were Bernard’s best tally since his spell in his native Brazil. This included 3 goals in the Champions League, which really made clubs remember who Bernard was and showed he could perform on the big stage. After even more domestic success in 2017/18, the Brazilian left Ukraine and is now on the verge of signing for the Toffees. Bernard is a midfielder with blistering pace capable of playing in central attacking midfield or on either wing. Due to his short height, he has a low centre of gravity, which allows him to be a capable dribbler with fast feet. Alongside being agile, he is very skilful constantly performing tricks on the wing or through the middle to get past defenders. However, his lack of physicality and height may make adapting into a physical league like the Premier League difficult for the former Mineiro man. Although being of a dominant stature is not necessary, Bernard considerably lacks physicality which may take him a while to adjust to. Bernard is 25 years old and still has time to improve. Alongside the addition of Richarlison, Everton’s attack would be even more dangerous with the addition of Bernard, which after a season of Sam Allardyce football, is always good to hear. Signing him on a free transfer bares little to no risk for Toffees and with the pace he offers, something that Everton have lacked. Whether or not Bernard will be a success in one of Europe’s Top 5 leagues, only time will tell, but this has the potential to be a shrewd bit of business by Marco Silva.